An App for (budding or not) cooks. First, the integrated browser. 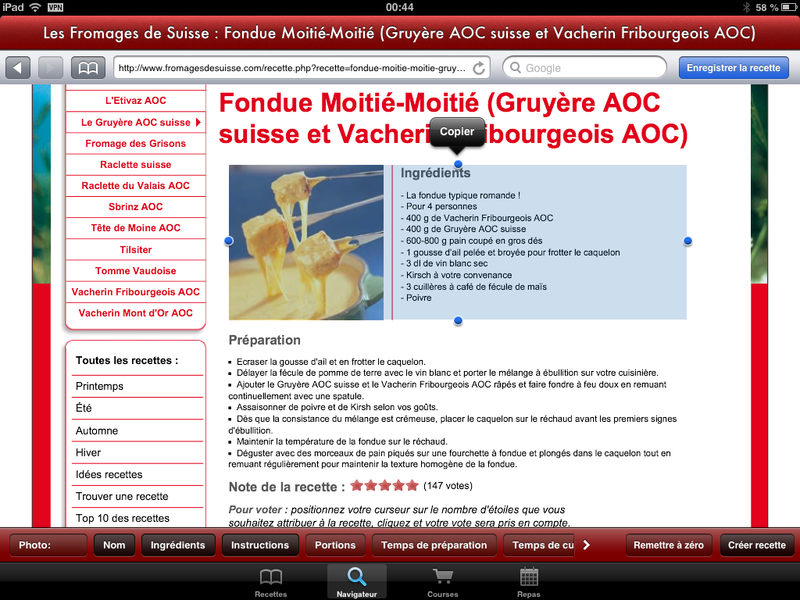 Note the Enregistrer la recette (save the recipe) button (if the recipe is in a format already known), and the Nom (name), Ingrédients, … and Créer la recette (create the recipe) for all other sites, by selecting the relevant data and clicking on the button. 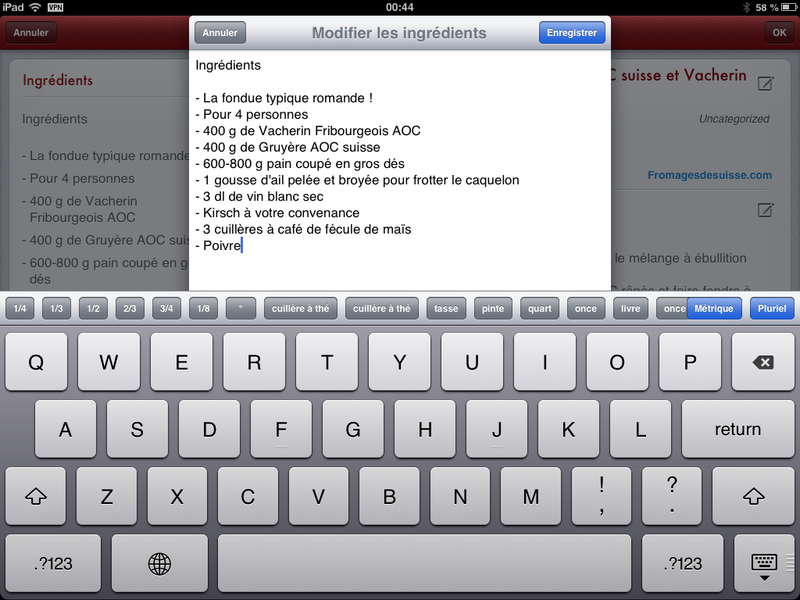 Once this done, you can modify the ingredients, the recipe, the information (3rd screenshot) and the picture (4th screenshot). You can search through your recipes, show all or one category, plan your menus, and once that done, if the menus are from your recipes, send the ingredients (you want to buy) to the shopping list. The automatic capture system works with a lot of known sites, and you can ask the App creators to add a site (which is usually done quickly). You can send by mail, tweet or facebook your recipes… so, the sharing works fine. 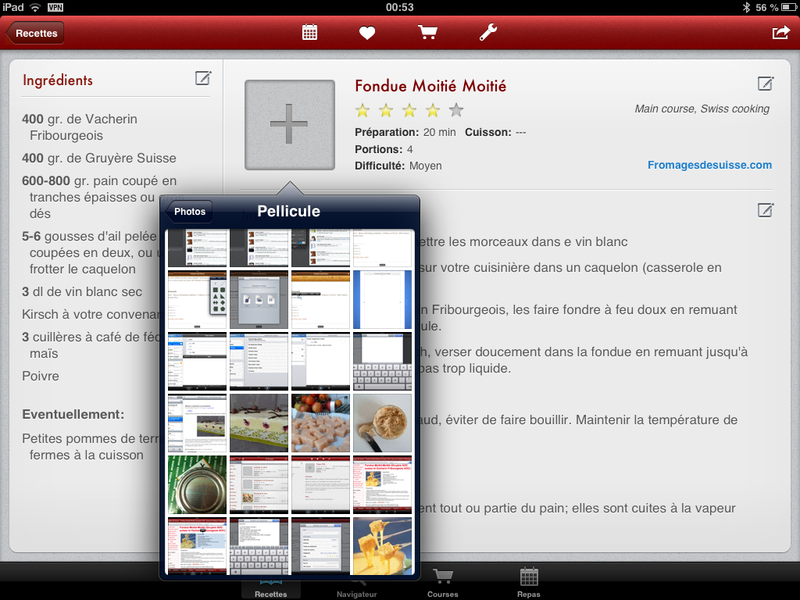 What is more, Paprika saves your recipes in a private Cloud, so there are no risk to lose them. If I have something against Paprika, it is the price. 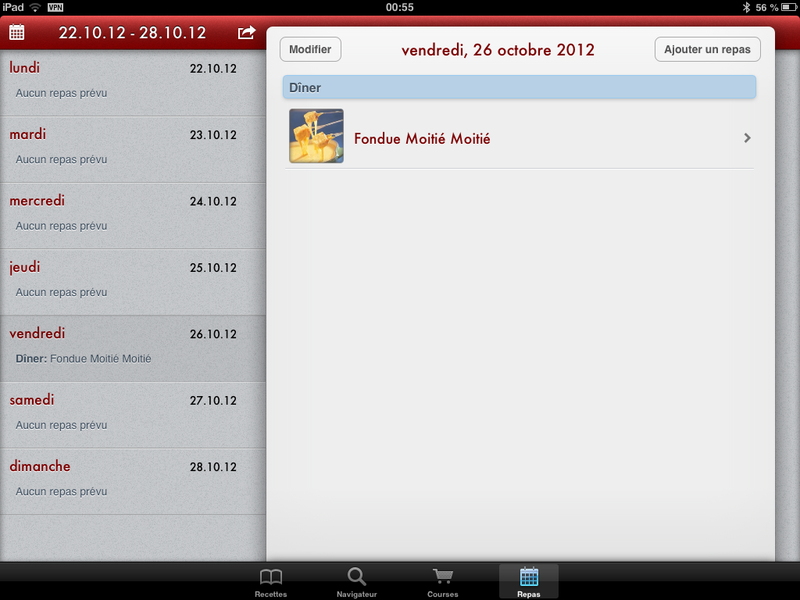 The 5 CHF cover only the iPad App, you have to pay again for the iPhone App, and again for the OSX version. But, all right, the iPad version is enough for me, so I will not buy the others. Well, at least, there are no inApp buys. I also learned about this App first on Cuk, here: http://www.cuk.ch/articles/5241. 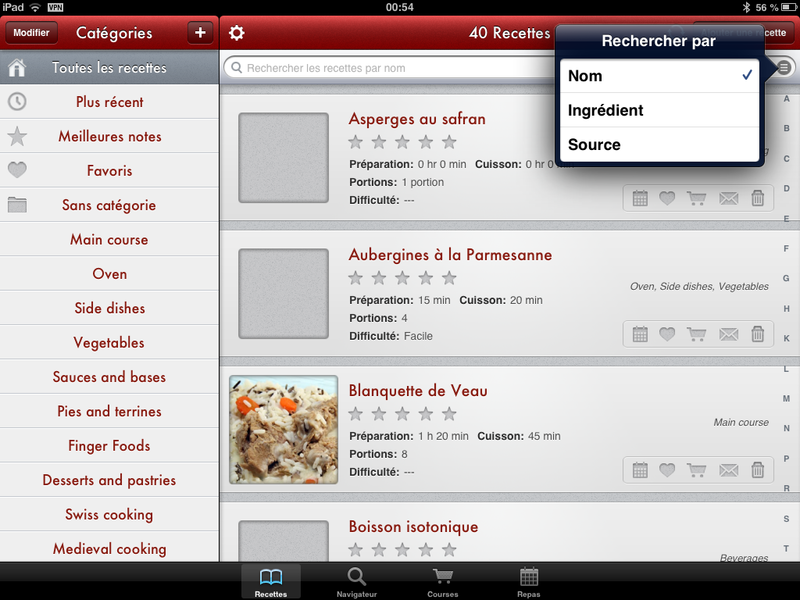 I hesitated a bit, but the other recipes App do not seem as good, or are not as good after trial. Pros and cons, but in the end, comparing it with the other Apps, and with all the advantages of this App, and knowing I really needed an App to put some order in my cooking things, the price question is marginal.